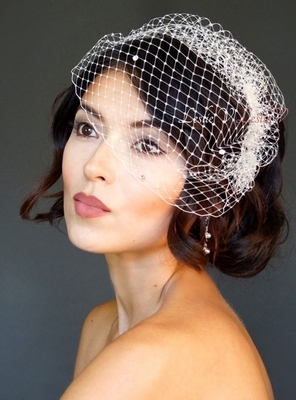 White Petite Vintage Style Birdcage Veil, scattered Austrian crystals, French Netting, measures approximately 8 inches long x 12 inches wide. Styling instructions included. Shop Lovely, Be Lovely!